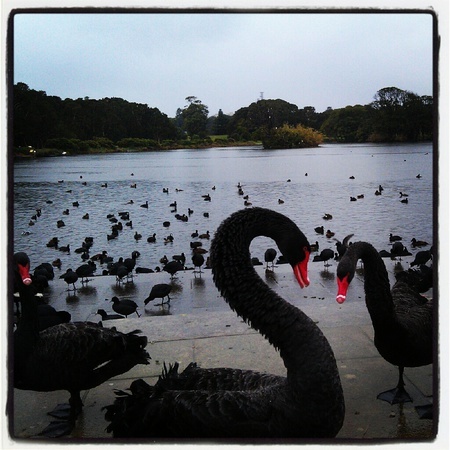 Centennial Park is home to a large variety of birds including pelicans, Ibis, water hens, ducks, seagulls, mynahs and the black swans. Watch them cross the road at the Grand Drive inside Centennial Park. You will see them in plenty.